Every country at war takes measures to protect itself from – and frequently victimise – perceived enemies at home, ‘enemy agents’, ‘fifth columnists’, ‘spies’ and so on, even ‘shirkers’ and people seen to be ‘disloyal’ or insufficiently patriotic. Australia’s War Precautions Act was a far-reaching example of this sort of legislation. 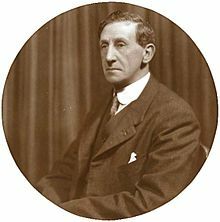 It is said that someone started to ask solicitor-general Robert Garran – architect with WM Hughes (attorney-general, later also prime minister) of the war precautions system – whether something was prohibited by the Act and associated regulations. Garran answered ‘Yes’ even before he had heard what the something was. The War Precautions Act 1914 passed through the Parliament within weeks of the outbreak of war. It was amended twice in 1915, then in 1916 and 1918, before being repealed in 1920. Even as amended, the Act never became very lengthy; the key section contained the power to make regulations, a function formally of the Governor-General but, in reality, controlled by Garran and Hughes. During the course of the war, about 100 regulations appeared (see below for examples). Besides the War Precautions Act and regulations, there was official and unofficial harassment of German Australians and aliens, including through internment, a Trading with the Enemy Act, an Unlawful Associations Act, various surveillance bodies (including, from January 1916, the Australian Special Intelligence Bureau, set up as an arm of the Imperial Counter Espionage Bureau), regular police forces in hyperactive mode, and unofficial snooping and vigilance by busybodies and vigilantes. Failure to close premises for sale of intoxicating liquor when ordered to do so by a competent military authority (225 cases). Selling or offering for sale commodities at a price in excess of the maximum fixed by Regulation (216 cases). Entering upon an enclosed wharf without permission. Failure to maintain a sufficient guard on the gangway of ships. Falsely representing to be returned soldiers. Wearing a soldier’s uniform without right to do so. Being in possession of official documents. Failing to register as an alien (about 650 cases). Exhibiting the red flag (37 cases). Evasion of censorship of letters for enemy countries. Using, for purposes of trade, names other than those by which the accused were known at the date of the commencement of the war. Being in unauthorized possession of wireless apparatus. Disclosing information with regard to the movements of ships. Using the word “Anzac” without permission for purposes of trade. Selling goods issued by the Red Cross Society. Collecting for patriotic purposes without authority. Short delivery of coke to Navy Department. Advocating action calculated to prevent the production of warlike material for purposes connected with the war. Making statements prejudicial to recruiting (about 150 of such cases). Exhibiting disloyalty or hostility to the British Empire. Making statements likely to cause disaffection to His Majesty. Publishing information which might be of use to the enemy. Spreading reports likely to cause alarm. Spreading a false rumour that a transport with Australian troops on board had been torpedoed. Publishing and printing matter which had not been previously submitted to the Censor. Attempting to cause sedition or disaffection among the civil population. Having in possession prohibited publications. Making false statements likely to prejudice the judgment of voters in connection with military service referendum (these prosecutions were launched by the district military commandants). Making statements likely to prejudice relations with foreign powers. Taking part in a meeting of a number of persons exceeding 20 in the open air in a proclaimed place on the pretext of making known their grievances (the convictions in these cases were quashed by the High Court). Interfering with the military police. Attempting to leave the Commonwealth without permission. Failing to notify change of address (about 750 cases). Being in unauthorised possession of firearms. Being in possession of “certain articles without permission”. Publishing advertisements relating to referendum and intended to affect the result thereof, without having the name and address of the person authorising them printed at the end thereof. There were 3442 prosecutions under the Act, the prosecutions being launched either by the Attorney-General or by the commandants of the military districts into which Australia was divided. Punishments ranged from small fines to fines of £100 ($10 000 in today’s money) or imprisonment for terms of three to six months. Failures to convict were, said Scott, ‘singularly few’. He noted the predominance of ‘foreign’ names among those convicted, as well as names of ‘unmistakably Irish origin’. There was no specific war precautions regulation which forbad the red flag, but there was a general regulation (27B) aimed at disloyal flags, banners, badges, symbols, and emblems. The red flag came under the ban because it was used to cover propaganda prejudicial to recruiting, and 37 prosecutions were launched for this reason. The most persistent offender was a Victorian poet. Five convictions with consequent fines did not damp his ardour, nor did imprisonment mitigate his zeal. After each prosecution he again defiantly waved the red flag. The matter became a little ridiculous. The poet was finally liberated on the Governor-General’s warrant; and, when he was able to wave as many flags as he pleased, he ceased to wave any. Robert Gordon Menzies, a young Melbourne lawyer (who later achieved some distinction), published a learned article in the Columbia [New York] Law Review for January, 1918, ‘War powers in the Constitution of the Commonwealth of Australia’. Upon these powers [explained Menzies] the Commonwealth has, during the present war, erected a considerable structure of legislation and regulation of an emergency character … [U]nder the War Precautions Act 1914-1916 … the executive has been given practically a free discretion in the devising of new modes of protecting the public safety of the Commonwealth (pp. 4, 9). Menzies went on to note ‘the immense range of subjects upon which the delegated powers may be made operative’ (p. 9). Looking at Ernest Scott’s list, we cannot but agree with Menzies as to the range of subjects, while doubting whether some of them had any connection with ‘the public safety of the Commonwealth’. Indeed, putting the war precautions regime alongside other measures instituted, particularly under Hughes as prime minister, Australia at this time could justly be called – as the National Library did in its Keepsakes exhibition of 2014-15 – ‘a wartime police state’. There are some basic introductions to the war precautions regime on the websites of the Museum of Australian Democracy at Old Parliament House, and the Queensland State Archives. There is more discussion in Broken Nation by Joan Beaumont and in the sections by John Connor and Peter Stanley in Oxford’s The War at Home: Volume 4: The Centenary History of Australia and the Great War. A Trove search of the newspapers of the day throws up thousands of references to war precautions and prosecutions. For some American comparisons, see what happened to Australian scientist GEM Jauncey in an American university and Adam Hochschild’s 2017 review of recent books. These sources and Scott also provide information about other forms of state control and surveillance during the war. 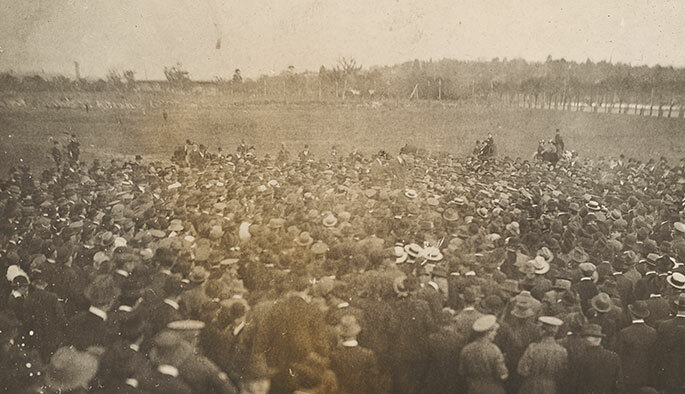 There is more on conscription, recruitment, Irish-Australians, and Russian Revolutions in other posts in our ‘Divided sunburnt country’ series. The word ‘Anzac’ is still protected under regulations dating from the repeal of the War Precautions Act in 1920. See Catherine Bond’s book and Jo Hawkins’ article. Or possibly Charles Bean, general editor of the Official History, who did a lot of rewriting of Scott’s drafts: see Peter Rees, Bearing Witness: The Remarkable Life of CEW Bean, Australia’s Greatest War Correspondent (2015).